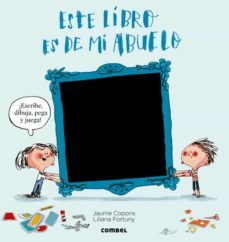 Un libro con adhesivos y actividades para escribir y dibujar sobre la vida, las aficiones y los gustos de nuestros abuelos que los nietos deberán completar con la ayuda de la familia. ¡El mejor regalo para el abuelo! This book will delight children and thrill grandparents. Grandchildren will use photographs, drawings, writing, activities, games,humour and emotion to review the most important moments in the lives of their grandparents, as well as their habits and tastes.What grandfather wouldn’t like to receive a gift like this from their grandchild?